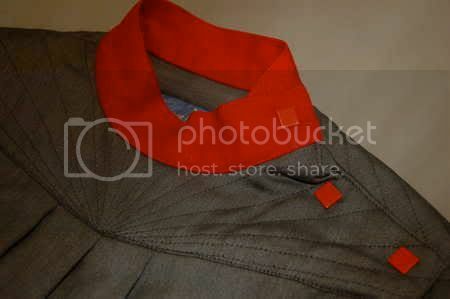 Communist-style jump-suit, early 1980s, labelled and size 38, loosely cut, of grey gabardine with red stand collar and square prestud fasteners, with sun-ray stitched yoke, diagonal fastening, deep patch pockets and broad belt. 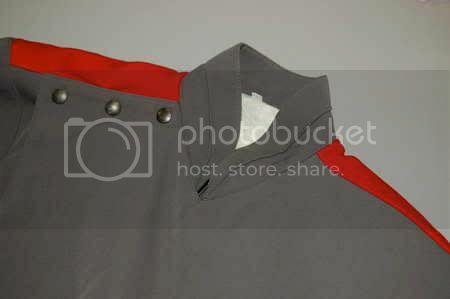 Communist-style dress, early 1980s, labelled and size 36, of grey gabardine with red epaulettes to the padded shoulders, diagonally slanted breast pocket, straps, buckled waist-strap, curved sleeves with fins, flounced cross-over panel to skirt, with Mugler enamelled star badge. 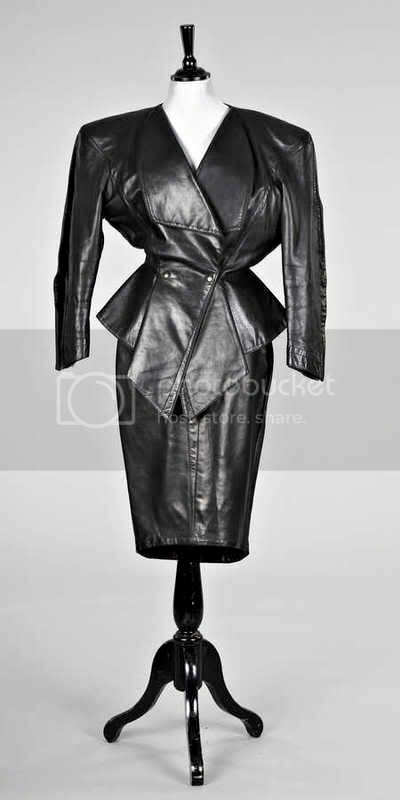 Black leather suit, early 1980s, labelled and numbered size 38, the jacket with exaggerated padded shoulders in contrast to the narrow waist, the flared peplum forming a point at the front, long, extremely narrow skirt with top-stitched point down the centre. 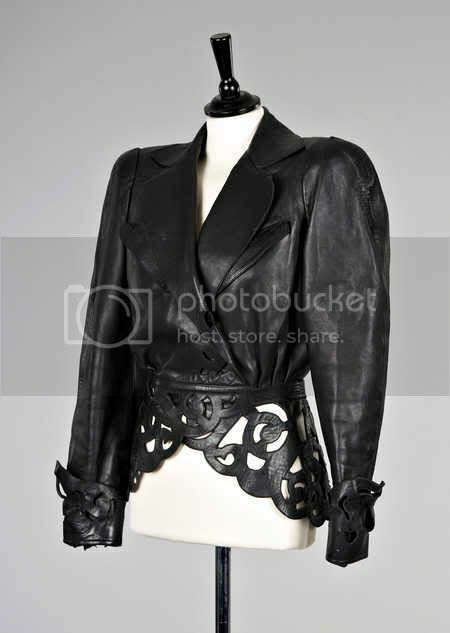 Black cutwork leather jacket, early 1980s, labelled and size 40, with exaggerated shoulders, wrap-over front and leather ties, superb cutwork peplum, diagonally slanted breast pockets. Green sequin trimmed evening suit, 1980s, labelled and size 40, of black wool crêpe, with irregular, undulating sequined neckline and hem, prestud fastened, curved vented pockets to the hips and flaring cuffs, bust, with original shop tag. 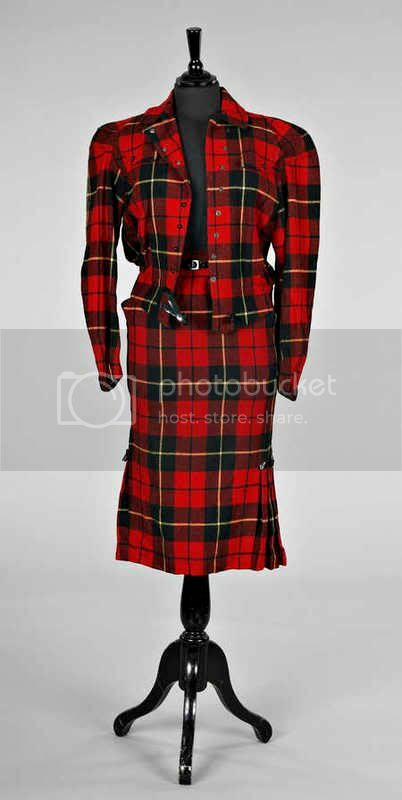 Red tartan winter ensemble, 1980s, labelled and numbered 36, comprising: short jacket and long kilt trimmed with black vinyl straps. ^Thank you - what contrasts these two images provide - the icy blonde shot in Newton (but probably Barbieri) style with a sinister sideways look and the parading butterfly Aphrodite. When is this image from? 1989? Thanks iluvjeisa,I thought the same as you about contrast when I posted. Sorry, I did not kept the magazine. You are probably right..end of the 80's. The beautiful B&W one you posted is on the well known "femme fatale" side of Mugler. "Long very shouldered jacket, resting on waist, in Bianchini Férier viscose gabardine, with scarf collar draped and tied under the breast, pants in Bianchini Férier viscose gabardine. 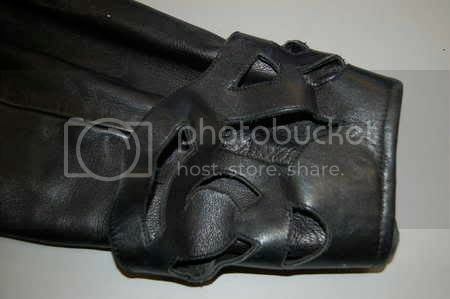 Thierry Mugler’s shoes for Linéa." 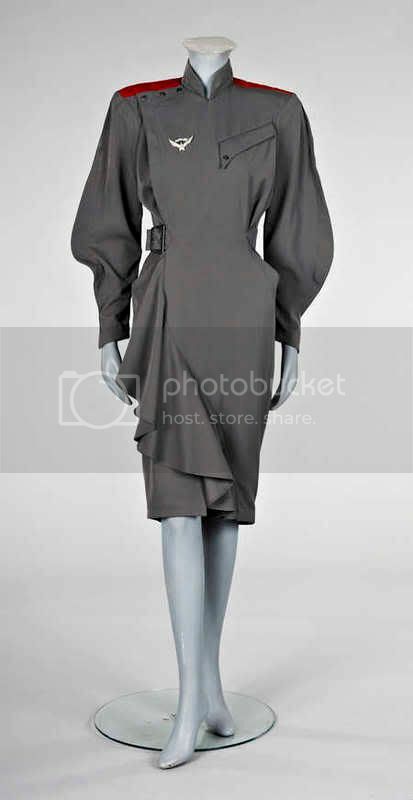 A few days ago I went to The Met to see the Costume Institute exhibit and there's a pretty great selection of Mugler's couture pieces on display. 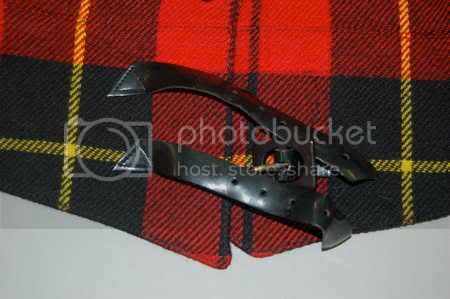 Here are some of the pieces they have. I have to say, his clothes are some of the most painful, brutal looking things I've ever seen that are meant to be worn....that robot suit of armor is really made out of metal, not metallic plastic. 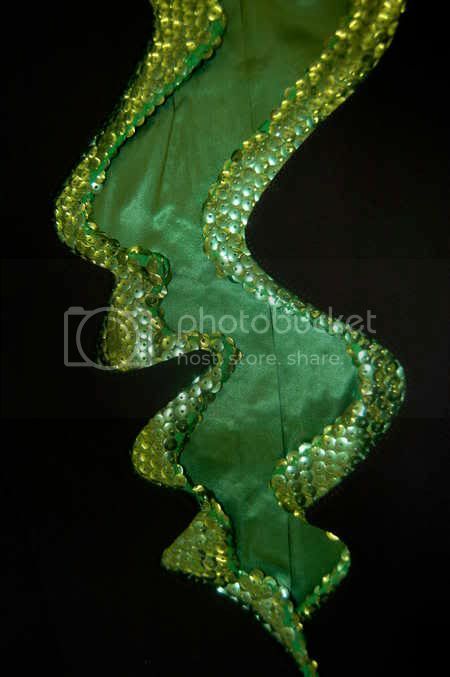 But the "Chimere" dress (the one that looks like a dragon/reptile) is amazing in person. The embroidery is just incredible. 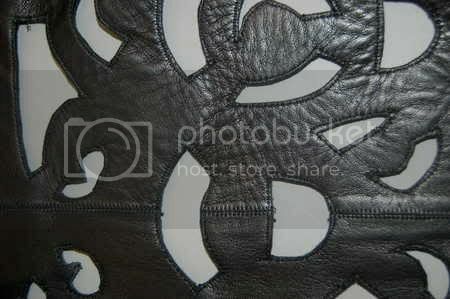 Thanks for posting the above images, Spike..Actually, if there were any reason for me to go to the Superheroes exhibit, the first 2 pieces in your post would definitely be it (the black leather piece & multi-colored "insect" dress w/ attached headpiece..is that the "chimere" piece youre referring to? )..Those 2 are definitely my favorite Mugler pieces, and Id love to see it up close & personal..
On another note, I read here that somebody else is presenting a couture collection for Mugler in the coming weeks, based on his previous works..I cant help but wonder what it'll look like, ie: will the new Mugler look really work in todays fashion climate? Will it make a difference that another designer is designing it? Will it have the same effect as it did back then? Eh, all silly questions I guess..I guess I'll have to wait til then.. Yes, that scaly reptilian insect dress was called the Chimere dress, named after the Chimera in Greek mythology I'm assuming. It's absolutely amazing in person, truly a work of art. You can't even tell from a lot of the images of it, but most of the "scales" are embroidered with glass stones, and under the exhibit lights it actually sparkled. 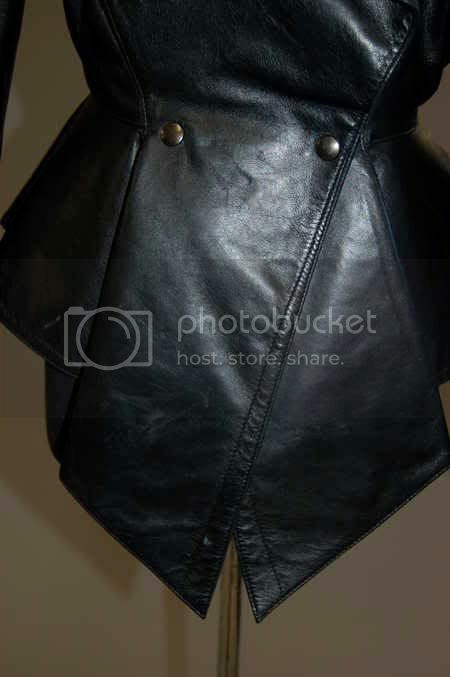 You can actually see a sliver of it in the picture of the black leather insect dress. Here's a video clip with that dress in motion. 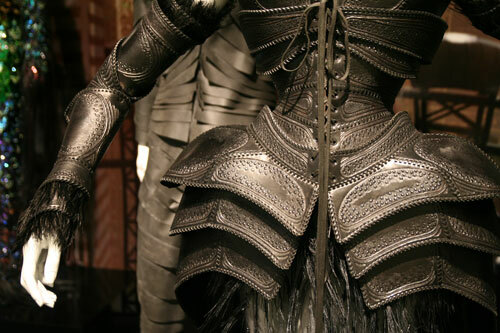 Thanks for the YouTube clip, Spike..probably the BEST couture piece Ive ever seen..The (obvious) high level of craftsmanship, plus the sense of fantasy: that, to me, is what the haute couture is about..
Anywhoo..in recent times, he's done costumes for a Cirque du Soleil show in Las Vegas..Anybody have any pictures? I know Paper Magazine (blah..) did an edit on it years ago, but I havent seen anything since.. 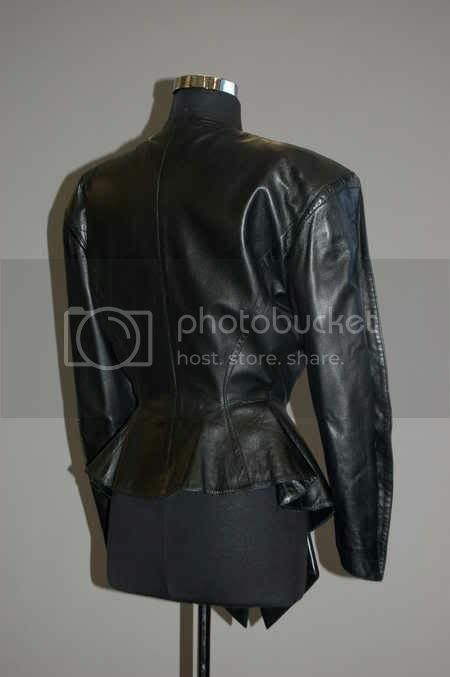 I wish someone would've worn vintage Mugler for the CI gala at the Met but apparently people aren't that fearless. Well almost all the dresses I saw were pretty boring and seemed to have nothing to do with superheroes, so I doubt comfort played a huge role. 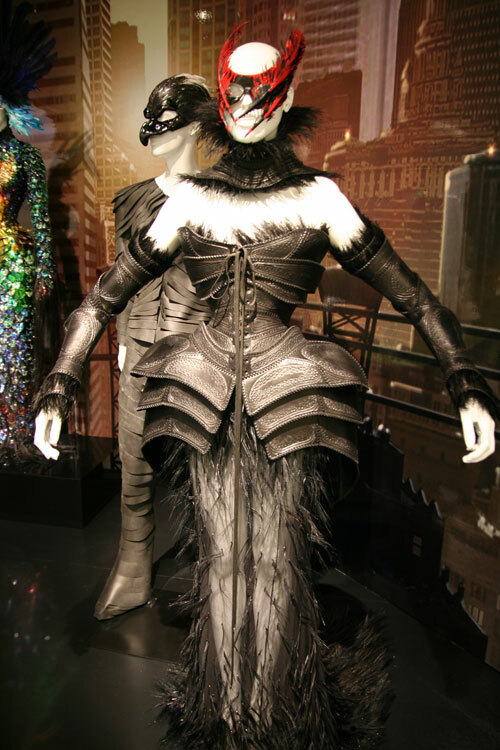 Either way, I'd love to see more people take risks and go OTT like Mugler. How many more pretty dresses does the world need? I'm really curious to see what this new couture collection will look like. 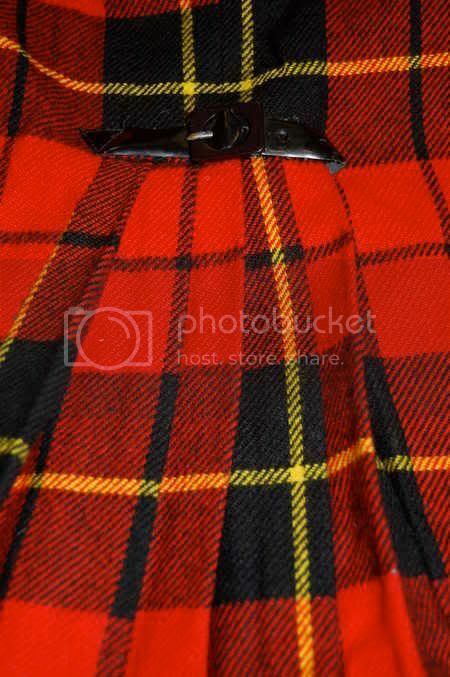 does anyone know if that info on the homepage is correct? 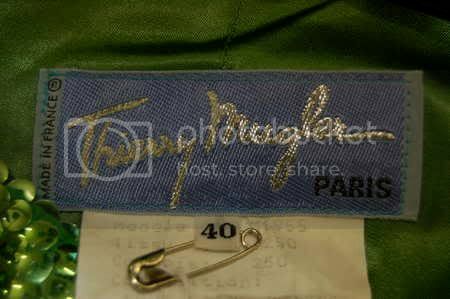 did say really that mugler was coming back to couture..
what is Mugler doing exactly?